CWB Group – The CWB Group certifies companies, inspection organizations, inspectors, and welding consumables through a review and qualification process to ensure that they meet the requirements for a variety of product and safety codes as well as standards such as CSA W47.1, CSA W47.2, CSA W55.3, CSA W186, CSA W178.1, CSA W178.2 and CSA W48. 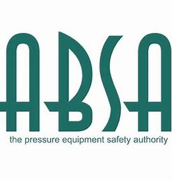 Alberta Boilers Safety Association – TVE is licensed from ABSA as a Boiler and Pressure Vessel Contractor with an ‘A’ License and ‘MA’ License in Alberta. TVE is certified to Construct, Repair/Alter ASME B31.1 Power Piping, Boiler External Piping and ASME B31.3 Process Piping. Repair/Alter ASME Section VIII-1 Pressure Vessels. Technical Safety BC – TVE is licensed from Technical Safety BC as a Boiler and Pressure Vessel Contractor with an ‘A’ License and ‘MA’ License in British Columbia. TVE is certified to Construct, Repair/Alter ASME B31.1 Power Piping, Boiler External Piping and ASME B31.3 Process Piping. Repair/Alter ASME Section VIII-1 Pressure Vessels. BC Construction Safety Alliance – TVE is COR Certified for both its Occupational Health and Safety (OHS) and Injury Management/Return to Work programs. We continuously demonstrate a commitment to raising the standard of worker health and safety. 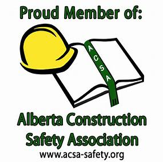 Alberta Construction Safety Association – TVE has achieved its Certificate of Recognition COR with the Alberta Construction Safety Association. This confirms that TVE has been evaluated by a certified auditor and meets provincial standards established by Alberta Occupational Health and Safety.